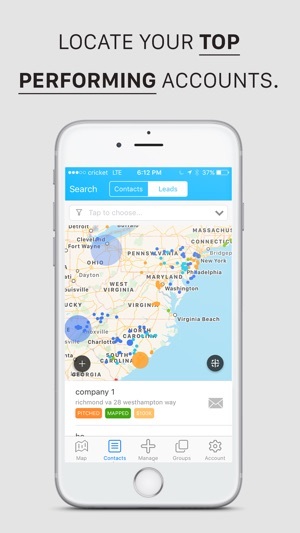 Map My Customers isn’t just a mobile sales CRM -- it’s your personal sales sidekick. Whether you’re a sales rep or team manager, Map My Customers can help make your life a little easier through automating everyday tasks. Spend more of your time selling and less time on the road or at your desk! 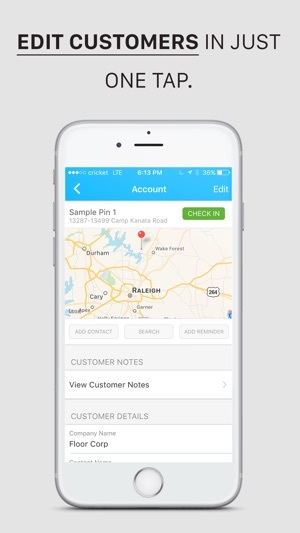 “If you’re using this app and not getting twice the number of customers -- you’re just not doing your job.” - Steven B. "My average sales per month were $50,000... until last month. I used Map My Customers for just two weeks and put up a record amount of sales – $90,000. After that I upgraded right away and got my team hooked." - Ken M.
Miss Microsoft MapPoint or Streets & Trips? Luckily we made MMC as a modern solution to the two discontinued classics. Find out how we’ve helped over 5,00 companies smash their sales quotas. Try the MMC way! Thanks for choosing Map My Customers! We just swept up a couple of bugs crawling around and made your experience even more delightful with performance enhancements. Map My Customers has allowed me to take efficiency to the next level. I am able to take “scattered information” from excel sheets and turn them into visible plots on a map of my territory. It allows you to be a more regular presence with your customers and prospects. Wherever you’re at you know who you’re close to and can go call on. 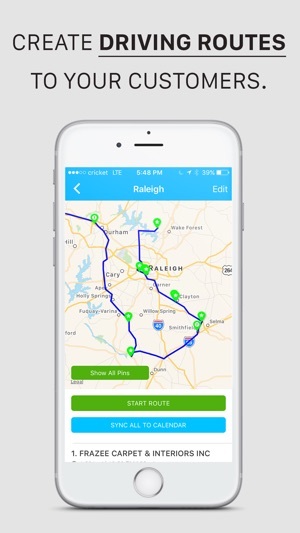 The route function is handy too when you want to filter on a certain type of customer and find the quickest route to begin calling on them. 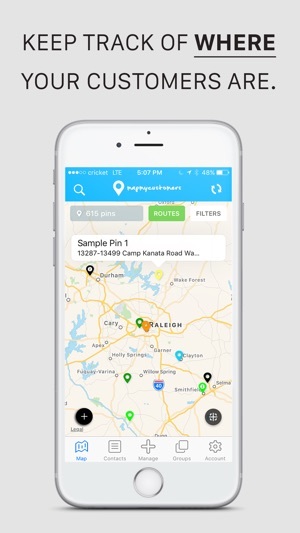 This app has taken away what used to be very time consuming, in regard to figuring out where all the clients and prospects were, and replaced it with quick information that is visible as soon as it is loaded. Hands down a must have for any traveling sales rep! Map my customers has been great for my company’s representatives in the field. They were previously using two different programs to accomplish everything MMC does. 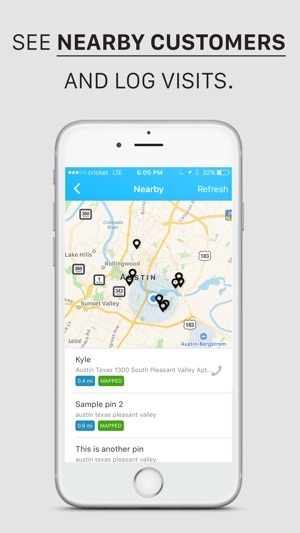 We have been using this app for about 4 months and like many of the features such as auto check-in, routing, checkin notes, and custom fields. Their app is easy to use and works well. You can break down mapped customers into many different groups and sub groups. The desktop version is a little bit more clunky, but I’m told they are doing a complete overhaul on that soon. I’d recommend this product to traveling representatives. There are some issues that I run into while running routes that I’ve created. 1 is that the app seems to close out and reset while I’m in an appointment. So when I’ve completed the appointment, and go to navigate to my next stop. All the customers have to reload, and sometimes it is slow depending on service. I just can’t understand why the route wouldn’t stay pulled up so I can just click on the next pin and go. 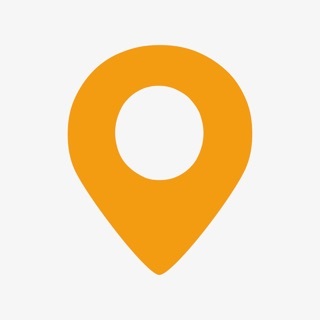 Also, when I do click on the next pin, the navigation often doesn’t recognize where I’m currently located, and I have to manually enter to navigate from my location. My other complaint is that notes don’t seem to import from excel. It would be nice to have this while on the road.